Home / Landscape / Read the latest edition of BikeBiz Magazine now! 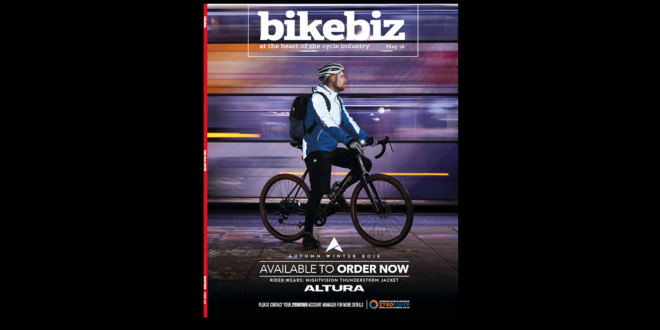 Read the latest edition of BikeBiz Magazine now! The latest digital edition of BikeBiz Magazine is now availae to read online, or download free of charge. This month’s magazine features a host of content on the subject of parts and accessories. In the May edition, you will find an in-depth discussion with Raleigh managing director Pippa Wibberley, a comprehensive overview of the issues surrounding tyre recycling from Laura Laker, and we’ll be delving into the world of nutrition, as Dr Allen Lim fills us in on the latest innovation from the sector. – Forme’s Adam Biggs talks heritage and cultivating a comprehensive range. Read the latest edition of BikeBiz here.